Our unique solutions and expertise will provide superior results! Search Engine Optimization (SEO) is an integral component for online success for any business – what good is it to have an awesome website if no one can find it? SEO is all about helping people find what they are looking for online. It brings the right consumer and a business together. 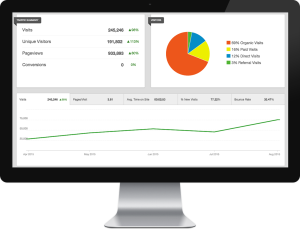 By optimizing how your website is found and explored by both users and search engines, you can increase both the quantity and quality of incoming traffic and, in turn make conversions. Users are looking for your services and if you are on top of search results your listing is more likely to be clicked. When consumers are ready to make a purchase all you have to do is position yourself strategically. 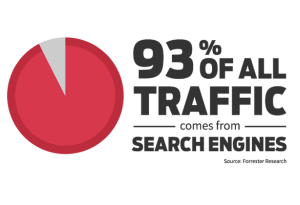 Organic SEO is very effective with a 90% return rate for listings in the top three positions on google. Direct Mailers no longer work! About 2-3% of all direct mailers are picked up and acted on. That means 2-3 out of 100 mailers sent out will generate a lead. Referrals can only get you so far. If your business relies mostly on referrals – then what happens if you lose one or two big clients, or when you exhaust your referral networks? 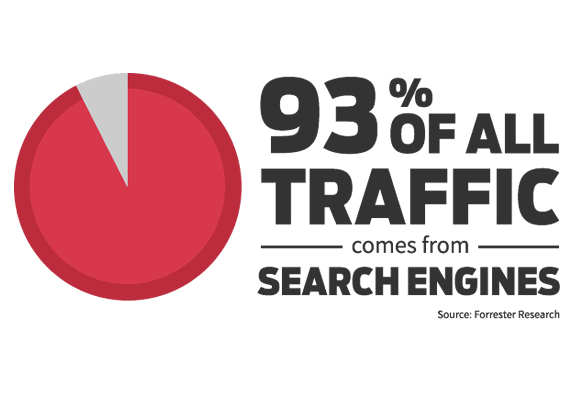 SEO is best, because people find your business and contact you! No work necessary. 80-85% of users ignore the paid ads, focusing on the organic results. When ‘crawling’ a website, Google and other search engines look for specific bits of information to help them understand what a website is about. At the basic level, this includes elements such as the page title and the content on the page. At the advanced level, this includes what types of links direct to the page, the structure of content, and additional variables dreamt up by the geniuses updating Google’s search algorithm daily. After understanding what a site is about, Google will then attempt to match search queries to the web pages it thinks will be most relevant for a given search. If the SEO on your site is well implemented, you’ll have a higher chance of ranking well for that search query. The secret lies in knowing what types of search queries to target and how to convert traffic from those searches. That’s where our expertise comes in. We take an all-inclusive approach to SEO. Not only do we cover the basics of setting up your site and optimizing content, but we also apply a link-building strategy that ensures that we move the needle on search engine results page (SERP). We don’t offer cookie cutter solutions like other firms because we recognize that each business has different needs. Instead we focus on a custom plan that garners the best results. After learning more about your company, and researching your niche and that of your competitors, we determine how to best target potential customers through on-site keyword usage and overall site structure. We prioritize keywords and work them in naturally with on-site copy to create a website that is pleasing to both users and search engines. Content is best when it speaks directly to your target market. To achieve effective and compelling content we must survey your customers or target market and find out what speaks to their buying decisions. Then a content strategy is developed based on customer feedback, keyword research, and page conversion goals. Content strategy involves copy that identifies the user’s pains and problems, has a solution that speak about benefits rather than services, and has a dramatically different call to action. These are the building blocks to great content. Quality and niche-relevant – we follow the practices of the best white-hat SEO and will not jeopardize your company’s online presence with short-sighted attempts to manipulate Google’s algorithm. Each business is unique, which is why we create custom link building strategies for each individual client.